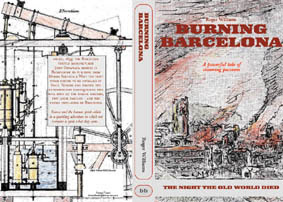 A book of factional short stories based on scandals, histories, extraordinary and strange events that have taken place in hotels called Bristol. Ideal bedside reading. Available as a ebook in all formats, and in Amazon's Kindle Store. A powerful tale of steaming passions. Available on all ebook formats: and on Amazon Kindle. Few places in the world have such a dazzling cultural legacy as southeastern Turkey, sometime home of Hittites, Assyrians, Parthians, Sassanids, Byzantines, Suriacs, Caliphates, Armenians, Kurds, Seljuqs and Ottomans. Attention has been focused on the area for the past three decades as a huge and often controversial hydroeleectric power scheme has dammed the Tigris and Euphrates, creating this Land of the Lakes and bringing new life to this formerly impoverished region. Local communities have been displaced and archaeologicsl sites flooded, but only now is it possible to begin to assess the longer-term effects of the project. 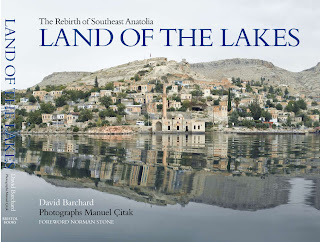 Writer David Barchard and photographer Manuel Çitak brilliantly reveal the story of the rebirth of Southeast Anatolia, a new land of water and increased prosperity. The foreword is by the eminent historian Norman Stone. All enquiries to Roger Williams on (+44) 020 7358 0044, email. A–Z Travel Snapshots. The diary of a travelling life, with links to stories, videos and podcasts. ALL available in all formats for ebooks.